Master Box Dimension : 23" X 17" X 21"
Get ready for enormous fun with all of these amazing cars in your very own city! Over 10 cars to bring to life your bustling city each with detailed design for an amazing time! They are perfect for on the go racing action! Check out the full assortment of classic and new Cars characters. You can pack them all in your pocket and hit the road to adventure! ROAD SIGNS INCLUDED Great for teaching kids what road signs mean. Perfect for building small towns for imaginary play. Let children start learning the basics of transportation and social interactions from a young age. 12 Vehicles & 7 Road Signs. 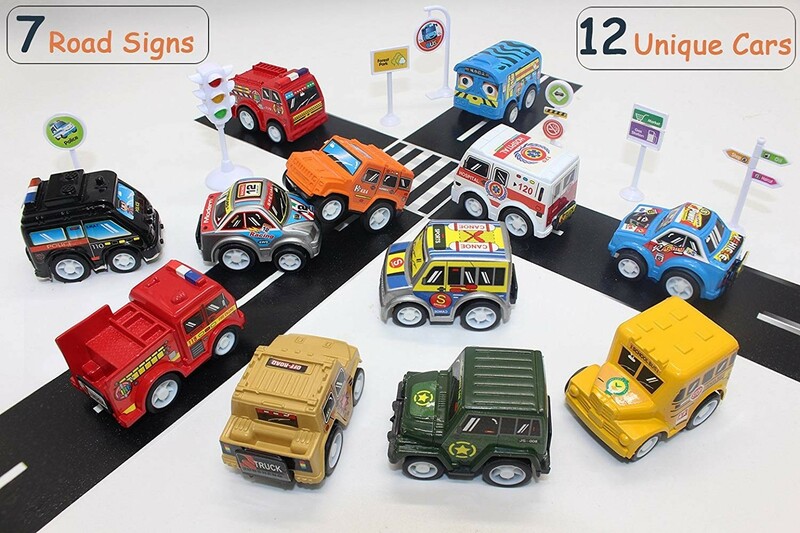 Play with a toy set that will help promote education of the rules of the road and children creativity!